We tend to take the air we breathe for granted, with the vital element of life often characterized as one of the free things in life. But there are few things in life that can be as quickly and pervasively polluted as the air we breathe, and our San Francisco toxic tort attorney Gregory J. Brod is reminded of this fact and how important it is for those who fall ill from the inhalation of polluted air to find experienced legal representation to win the compensation from polluters that the victims of pollution deserve. The San Francisco Bay Area received an up-close-and-personal reminder of the fact that companies emitting harmful pollutants into the air very much exist in our region when it was announced Tuesday that the Valero Refining Co. agreed to pay more than $300,000 in civil penalties for air quality violations. 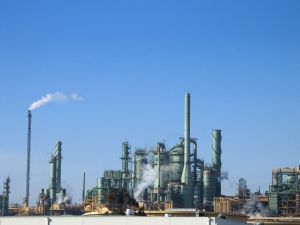 According the Bay Area Quality Management District as reported in a story in the San Francisco Chronicle, the energy firm was cited for 33 violations in 2011 and 2012 committed at its Benicia refinery. Among the specific violations emanating from the Benicia refinery were those that involved excessive emissions and gas leaks. In 2013, Valero earned the dubious distinction of being named one of California’s top producers of toxic substances, ranking as the 10th biggest source for chemicals and pollutants in the state, according to a January assessment by the federal Environmental Protection Agency. Within the Bay Area, Valero ranked just behind the ConocoPhillips refinery in Rodeo as the region’s biggest emitter of poisonous substances in the region – the company was linked to the release of 504,472 pounds of toxic substances into the air, water or ground. Valero was to spend more than $700 million on injunctive relief through 2012. Valero was to guarantee emissions reductions of specific substances at each refinery. Valero made a commitment to reduce the number and severity of major flaring events at all of its facilities. Valero made a commitment to put in place improved procedures for reducing benzene emissions and volatile organic compound leaks from its equipment. The fact that energy companies and other sources of toxic substances are fined, and sometimes repeatedly, by the government for violations may, in the end, be cold comfort for those who have already fallen ill from the inhalation of harmful emissions. If you or a loved one has become sick due to being exposed to toxic substances, please contact the Brod Law Firm for a free consultation.